Date night at the Capital City Gastropub was quite the treat. M and I decided to start ourselves off with two deliciously made cocktails; a dirty martini and an Albany sour. Mmmm! We began our meal with two sinfully delicious appetizers. 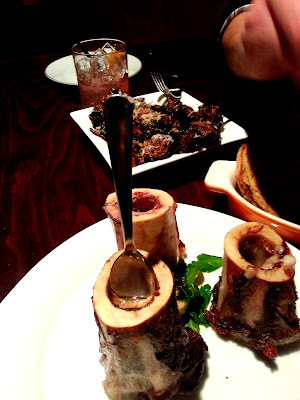 With a quick glance over the menu, both M and I knew we'd have to indulge in the Northeast Family Farms Roasted Marrow Bones with caper berries, parsley, and horseradish. Now I've never had bone marrow before, but I've been dying to try it. And I am so thrilled I did. Don't they look so delicious? of the caper berries this treat was purely divine. The second appetizer, Fried Brussels Sprouts with Grana Padano, lemon, and Maldon Sea salt were perfect. Every piece was crispy and blackened on the outside while remaining soft and citrusy on the inside. We liked them . . . wouldn't you agree? Okay, okay, enough with the appetizers. For our entrees we decided to share two of the specials they were offering that evening. Baby bok choy, grits, black sesame seeds and lingonberries. The combination was quite pleasant as the grits gave the dish substance and the bok choy added a fun crunchy texture while the lingonberries' sweetness wrapped the dish up in a pretty and delicious way! The special of the night was, to say the least, out of this world. It was topped with smoked chicken, pork sausage, pork belly, cheddar cheese curds, mozzarella, tomatoes, garlic, and was topped with a BBQ reduction. This pizza was delicious. Even yummy for breakfast, if you're into that sort of thing. 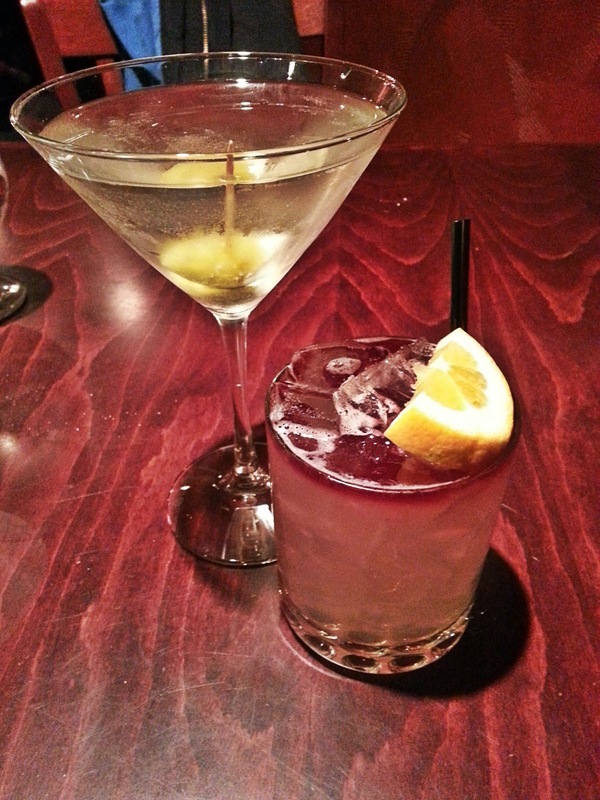 The Capital City Gastropub is a great place for a date night or a night out with the gals / guys. Give it a try and I'm sure you'll be happy! Keep up to date on their daily specials by visiting them on Facebook.